WINNER BEST INDEPENDENT PRODUCTION 2012, BEST DIRECTOR, BEST SUPPORTING ACTOR; SYDNEY THEATRE AWARDS 2012 The Sixth Form library - sanctuary, playroom, execution chamber. Seven sixth-formers are preparing for their mock-A Levels and the end of their school lives. 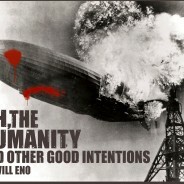 All this will soon be a thing of the past… when the whole world opens up before you, there’s a danger it’ll swallow you up. 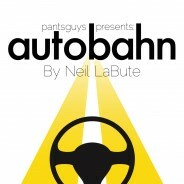 To celebrate our successful run of 'autobahn' by Neil LaBute at the Adelaide fringe, and to thank all our sponsors and supporters, pantsguys will be staging a Sydney season for 3 NIGHTS ONLY! Come join us as we celebrate ourselves and launch into the next year of great theatre. 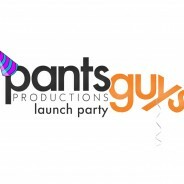 We will showcase our past productions and preview our upcoming projects. A Workshop Production. We live half in the world and half in the solitary universes of our minds. In five short pieces those thorny private wildernesses open up to disclose all the joys and sorrows, fears and fixations that a brief passage in a single life can contain.